iPhone 5S runs the latest iOS so for now at least, all apps should work on it. No point buying to old no apps will work on it ? I don’t trust Argos eBay refurbs anymore. Recently bought a pair of refurb joycons...3 straps and 1 joycon arrived. Also about to send back a refurb Switch which doesn’t work when in docked mode. USB port appears grimey (and not in a mid-2000’s drum’n’bass way). Who sells SE for a similar price please? What's not to like? It's an older phone that is only 16gb which is a little limited. Oh right, Apple caught up then. iCloud, does that cost? How do you back stuff up and restore it and also install updates? The comments here don't justify the cold voting. RUDE. Always read comments on Amazon: "It was great at first but Giroptic have just closed down, stopping all future support and updates so I can not recommend." Just buy the headphones and return them? Totally confused the guy now. As a first time use Apple all the way. Straight forward to use, works straight out of the box. No need to mess with a million settings. Android, apple is too much of a pain in the rear. Hmmm what we need here is some sort of mechanism allowing members to indicate their delight or dismay for a deal, some sort of way to say if a deal is good or bad or perhaps hot or cold. If only some such thing existed I feel we'd all use it. Anyone know which iOS version they send with? i am after an older version. Bought the £94.99 one and arrived today. It is ‘as new’ in appearance and set up well. Well packaged with screen cover etc.Very pleased with it. 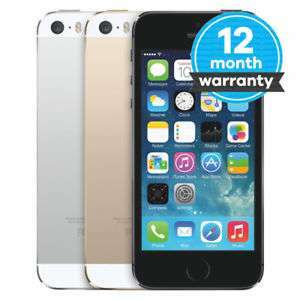 Never miss a 'iPhone 5s' deal again! How much is this usually? Also what charger plug goes with this? Where do you get your cables from? I found Nokia branded micro USB cables seemed to be the best short length cables for around 99p each. Now I need to find some good USB C ones. Code worked for me eventually.Very hit and miss though.Heat added. I was being sarcastic anyway. I bet they won't have replaced the battery as part of their refurbishment. I know people that have bought refurb iPhones and the batteries have been utterly thrashed. The iphone SE deal earlier was fantastic - Haven't seen it back on hotukdeals since though! Might come around again now that iPhone 8 and X is out. they will need to be unlocked unless someone has already had the phone and requested it to be unlocked, if its never been used you can do the three trick but it then requires a password if you change the sim. To be honest though this is quite expensive for the 5S, the SE has been as low as £120 recently on the refresh deal, got 3 unregistered unused a couple of months ago, recycled 5S back through Game for £130 which we had paid £96 for a couple of years ago on the same refresh deal. Also got a 7 for £267 whole family sorted. I’ve purchased two this year, both unlocked, unregistered with full Apple one year warranty. Suspect they send you the same phone no matter on the grade you plump for. By my reckoning, the Anker SoundCore Boost will be a lightning deal tomorrow for £43.99 that's what happened last time this was a deal. Thanks OP just ordered mine with 1 minute to spare. I have one too. Bought it when last on offer at £32.19. Glad I did now. Very impressed, it was a bit smaller than I expected but that makes it more portable. I only use it occasionally but seems to hold its charge well in between. Great sound for a portable speaker. Never use mine, carry with £5/4GB EE sim in it for emergencies when my 6S battery dies, or no Three signal. Wasted money on it really as screen keyboard too small for me lol, but I needed a stop gap with decent battery life after Microsoft pulled 1320 W10 support mid way. Best advice replace with a i6 or higher - the smaller 5/SE screen is kid sized. What's the issue you face ? If battery just get it replaced ? I've seen battery life /problems effect a iPhone in a bad way - the processor can't handle the battery instability. Got a replacement 3GS for a few months old new iphone for a issue like this, the battery caused all kinds of issues with the hardware/iOS. Ireally want a note 4 910F Model..NEW! Star Wars Spider-Man cases. 39p ideal drawer fillers! Never seen that currency mark up before. Maybe a European ruling? To avoid confusion let's just all agree on 39000 millipennies, or 39000mP for short. 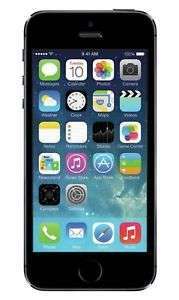 Hi, This is an O2 refresh deal on iPhone 5s. As usual, cancel the airtime plan and pay off the phone fully 24x6 = 144 GBP Seems a nice deal, despite being an old model. ​SE like new still at £168. Last "like new" i had was exactly that-mint condition. Well, I've seen that deal but it was "Like New", not really new as this one. 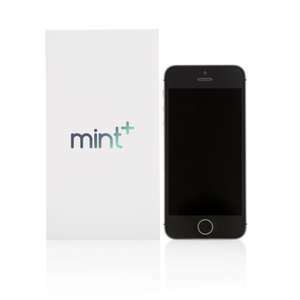 Really good deal, iPhone 5s for less than £100. Also comes with 12 months warranty. Extra £10 goes off at checkout. £50 is a no brainier between the S and SE if you ignore the other issues, however as I said you have to follow the process hundreds of people in here have and had no issues whilst some have but that's the same in any retailer. Follow the steps, and if something goes wrong email their CEO with the details including the confirmation of cancellation and they will put it right, they have too no choice in the mattter. If you don't want the refresh process then go for the payg one £15 extra to unlock and none of the issues. Now £130 &amp; 2 in stock. not a good deal anymore. I would love to but I'm too busy arguing with strangers on internet forums. Well I guess all the people who followed the procedure and got defaults on their credit file, constant payments taken and inability to cancel must be lying then? If O2 wanted you to do this, they would offer you the phone for a one-off payment with no airtime. I suspect the only reason they let this happen is because it is makes their sales figures look good at little cost. And, no, £50 more is not a no-brainer, if: you only have £100 to spend, you can't or don't want a credit check, you want a phone without hassle of speaking to customer services... just because it works for you doesn't mean it works for everyone. A good Keyboard from a well known company. the free controller seals the deal. I bought a steel series keyboard before my current one. After a year or so a bunch of the keys started randomly registering douple presses. Also had a mouse from them where the mousewheel stiffened up until it became unusable. Not impressed by them. Premium pricing for things that don't last. I recieved mine a few days ago it is a 'good' condition model. The screen is mark and scratch free; however the handest itself does have some noticeable marks but is perfectly operational. Haven't recieved it yet. It should arrive some time tomorrow (Friday) or Saturday - will let you know then (assuming that they will atill be in stock). Just update it to 10.3.1 then. I use one every day as my personal phones (I also have a work issued iPhone 7). The 5 is fine. I haven't found an app that doesn't work yet, as the devs do write the apps to support older iOS and the 5 is on 10.3.1 anyway. I also have a very old iPad 2, also fine.